This isn't your typical "how to write" book. 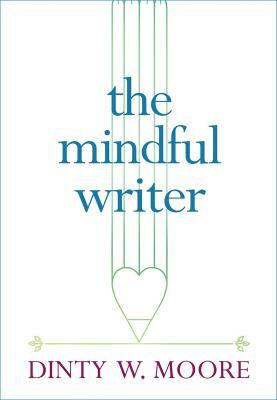 Author Dinty W. Moore, a well-respected writing coach and teacher, thoughtfully illuminates the creative process: where writing and creativity originate, how mindfulness plays into work, how to cultivate good writing habits and grow as a person, and what it means to live a life dedicated to writing. Dinty W. Moore is a professor and director of creative writing at Ohio University and is regularly invited to speak and teach in the US and Europe. In addition to publishing fiction and nonfiction, he has published two books on the art and craft of writing. He has been published in Harper's, the New York Times Magazine, Arts & Letters, the Gettysburg Review, Utne Reader, and many other venues. He's also the author of The Accidental Buddhist: Mindfulness, Enlightenment, Sitting Still, and Dear Mister Essay Writer Guy and is a National Endowment for the Arts fellowship recipient. He lives in Athens, OH.